The root word of essay is “assai,” which means “an attempt or first examination.” The writer uses her or his powers of observation and personal experience to look more deeply at the world. The personal essay combines exposition and storytelling to create personal narratives that can stand-alone or gathered in a collection. In personal essay, the narrator is the curious first person who explores topics and ideas in a vivid and engaging way. Topics often emerge from ideas gathered in careful (or accidental) observation. Essayists apply a first person point-of-view to write about travel, nature, personal experience, food, ideas and culture. Shape & Flow writers often develop full essays from writing prompts distributed each week. 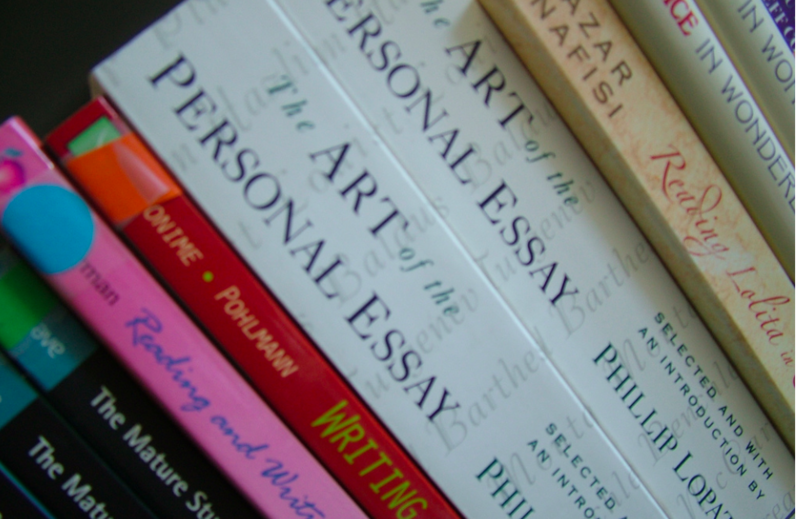 Essays are valued by magazines and literary journals. They vary in structure—linear, segmented, collage, hermit crab and list essays, long form and flash nonfiction. One of my and my students’ favorite craft articles about essay structure is “Picturing the Personal Essay,” by Tim Bascom, published in the journal, Creative Nonfiction. Mornings on Tuesdays and Wednesdays for six-weeks, from 10AM to 12:30, up to eight participants will read, write and study the personal essay with Kimberly Crum and a group of peer writers. Participants will complete one weekly timed-writing prompt, read assigned published essays, and will receive peer commentary at two class meetings, using a strength-based process. Evenings on Mondays from 6 to 8:30 PM for six weeks. Participants will learn how to write a first person narrative that weaves outside research with personal experience. Writers will use fictional techniques to create supporting anecdotes and reflect on both experience and expository details. Each participant will practice and refine both critique and revision skills. If you love to write, are by nature a curious person, and enjoy the give-and-take of a collegial group of writers, enroll today! Call Kimberly at 502-417-3424 or e-mail shapeandflow@gmail.com. If you are interested or undecided, I will be pleased to meet with you at Studio 123 to discuss your writing goals. Once you’ve enrolled, I will e-mail an electronic invoice that you can pay by credit card. Or you may pay by check.